*NEW* FREE SHIPPING store wide! 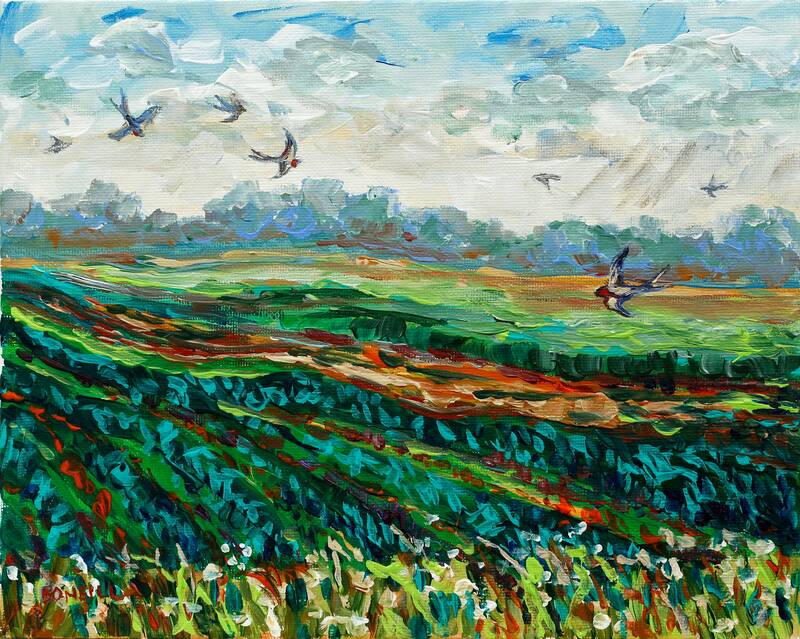 Giclee prints of: "Farm Field and Barn Swallows"
Inspired by Michigan fields and Barn Swallows that swoop and dive after insects! Your choice of a high quality giclee on fine art paper or gallery wrapped canvas. More sizes available upon request! - Beautiful, comes with a generous border of paper that makes your print look pre-matted, it is also signed by Betsy. Gallery Wrapped Canvas prices - Gorgeous, looks like you own the original painting!